Hi-spec affordable smartphone from new UK company Wileyfox offers great value for money, but early experience is spoiled by a couple of niggling annoyances. My recent mobile phone journey has been a bumpy one. I dropped my beloved Nexus 5 while getting into the car, completely shattering the screen, and since paying one of those cowboy high street repair shops £80 to replace it the vibrate function hasn’t worked and the rear cover is open on one corner and won’t snap closed. My phone needs to be fully functional so I found these “wounds” impossible to live with. The Nexus was a personal purchase and on enquiring with my provider I found I was due an upgrade, so I chose the HTC One Mini 2. This was a lovely handset to look at and to hold, with brushed aluminium curved body really sitting well in the hand. The problem? It’s slow. Sooo slow. Facebook would regularly take five seconds or more to load and often the screen would just freeze for no apparent reason. So, I have one phone that performs well but has battle scars and another that looks and feels great but slows to a crawl frequently with no explanation. Then I heard about Wileyfox and its two new budget handsets: the Swift and the Storm. At £195 the Storm is a real bargain: 5.5 inch screen, 20 MP rear camera with the same sensor as the Sony Experia Z2, dual 4G SIM card slots, 3Gb RAM and a host of other neat features. So I ordered one thinking it would be the solution to all my phone woes. When it was delivered the other day from Amazon I unboxed it with joy, and initial impressions were great: big, bold, fast, good-looking. 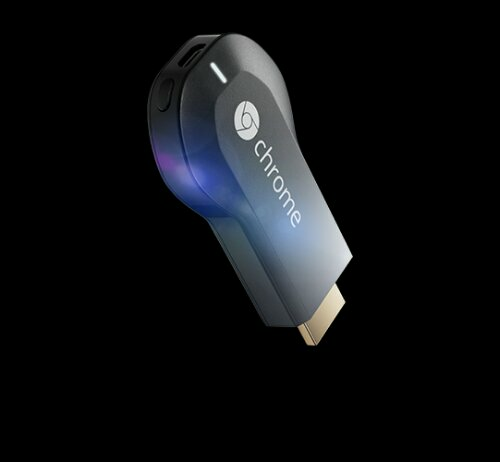 But in the three days I’ve been using it I’ve noticed a few things that individually I could live with, but combined add up to a level of frustration that is spoiling the usual new device honeymoon period. Battery indicator behaviour You know that little lightning bolt that appears in the battery icon to show that it’s charging? When I unplug the charger in the morning the lightning bolt stays there and I have to reboot to get the icon back to normal. Trebuchet Launcher and Google Now this is broken. If you use the Trebuchet launcher that comes built in and then enable Google Now, the Google search bar on the home screen is replaced by a static Now Card display that you can’t remove. To get around this I’ve had to switch to the Google Now Launcher, which is nice but on a screen this size the icons are too big. It looks like a smaller screen zoomed in rather than making the most of the additional real estate available. TouchscreenThe screen seems a little less sensitive to touch than the Nexus 5, meaning I have to press a little harder than I’m used to. This wouldn’t be too much of a problem in general but there’s one area where it’s a real pain: Minesweeper. I like to try and beat my own personal best on this game, and that means quick tapping to uncover mines. On the Storm’s screen I find this doesn’t work reliably, and my games times are suffering. What’s the main problem with electronic gadgets such as phones and tablets? They are not designed to last more than a couple of years, and when they do go wrong it’s usually just a single component that fails, yet we throw the whole device away because it’s not designed to be repaired or upgraded. Electronic waste is a big problem, and it’s growing. What’s so cool about Lego? Why does it have such enduring popularity? Because it’s a series of building blocks that you can make anything out of. Bored with that spaceship? pulls some bricks off and add some new ones to turn it into a tank: Bingo! new toy! Dave Hakkens in the Netherlands has come up with a neat idea that combines the two concepts into a phone you want to keep. It’s made of blocks, with each block doing a specific thing such as camera, storage, GPS etc. If the idea takes off you’d have a working phone made up of block-based components that you can change, replace, or upgrade yourself. 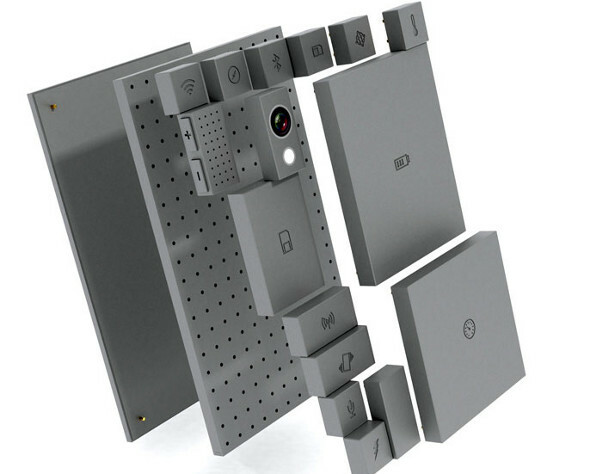 Phonebloks: what a smartphone would be like if Lego designed it. Very cool idea needing your support to get off the ground. Dave is collecting virtual fans right now in preparation for a campaign in October, so watch the video below and then click here to add your voice to the throng. If you are a FlipBoard user (and if not, why not! ? ) you’ll know that it’s a great app for getting you the news and articles you want in a nice flip-to-turn-the-page design. A handy new feature they added recently gives users the option of creating their own magazine on topics that matter to them, and then sharing it with the world. Every day it will be beefing up the pages with news and stories from around the tech world. No more taking through repetitive tech blogs! Let me do the digging for you do you get straight to the juicy white mat. Just click the link on your mobile device to add my new magazine to your virtual rack. UK mobile network Three have been at the vanguard of new ideas and challenges to established mobile tariff practices since their inception. Now they are taking on the most contentious: international roaming charges. Three are removing roaming charges for its UK customers visiting seven countries (see article for list), enabling them to carry on using their included minutes, texts and data while abroad. This is great news for anyone who travels regularly and a bold step that will surely force other networks to follow suit. About time say I! For far too long mobile carriers have been punishing roaming customers with crippling call and data rates: a policy that seems to have been implemented for no other reason than “because they can”. Let’s hope this move signals the start of fair sensible pricing. See what I did there? Quite witty when you realise this post is about the ticking time bomb of the smart watch market. I’m so sharp I might cut myself. If-like me-you’re a tech geek AND a watch geek, the next few weeks should have you quivering with excitement. Smartphones are sooo last week:: now it’s all about the smart watch. What’s a smart watch you say? Well, think of it as Robin to your phone’s Batman: a trusty sidekick that turns The Caped Crusader into The Dynamic Duo. Imagine a touchscreen on your wrist that can communicate with your phone–show you who’s calling, emails, texts etc. But that also has some tricks all its own, think camera, pedometer, alarm clock, erm…watch. Watch the skies (the tech blog skies that is) over the next few days. Google has acquired WIMM Labs, rumors of the Apple iWatch abound, and most importantly Samsung are expected to announce their first production model, the Galaxy Gear, on September 4th. That’s just three days away. I’m setting my alarm for that: shame it’s not on my wrist…YET. Don’t be put off by the clunky title of this article on Engadget: there’s actually a quite interesting story here. Mozilla — the people behind the Firefox web browser — are developing Firefox OS for a new range of low cost smartphones, in part aimed at emerging markets. How the he’ll do you compete and differentiate yourself against the Apple and Android giants? Well, Mozilla’s answer is to make their app store social, with app developers showing as real people with whom customers can interact, sharing so likes with friends etc. I think it’s an idea that has merit and could just help to make Firefox OS stand out (until the others copy the idea, at least). Take a look at the short video and see what you think. Can You Survive on 4G Alone? While 4G may be fast and reliable, its current business model (mobile devices) includes caps on the amount of data you can transfer per month, and if you’re a heavy user (online gaming, downloading movies etc.) then on current tariffs it can end up being very expensive. But the seeds have been sown and it’s only a matter of time before the mobile networks start competing directly with BT, Sky et al for your home business. I predict we will see the first home Wi-Fi router with a SIM card slot instead of a phone line socket within twelve months. One of my clients has the HTC One, and while it’s a fantastic smartphone with lots of great features, it can be a little tricky figuring out how to customise the home screens and application dock. For some reason HTC does this very differently from other Android phones such as the Samsung Galaxy range. Anyway, after a little searching around I came across this short video that shows how you can move icons out of and into the Dock. Easy when you know how!